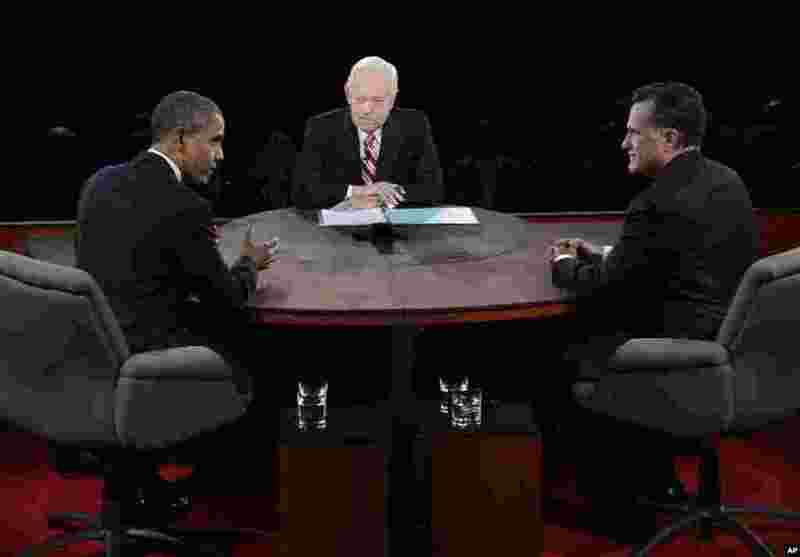 5 President Barack Obama speaks as Republican presidential nominee Mitt Romney and moderator Bob Schieffer listen during the third presidential debate at Lynn University, October 22, 2012, in Boca Raton, Flordia. 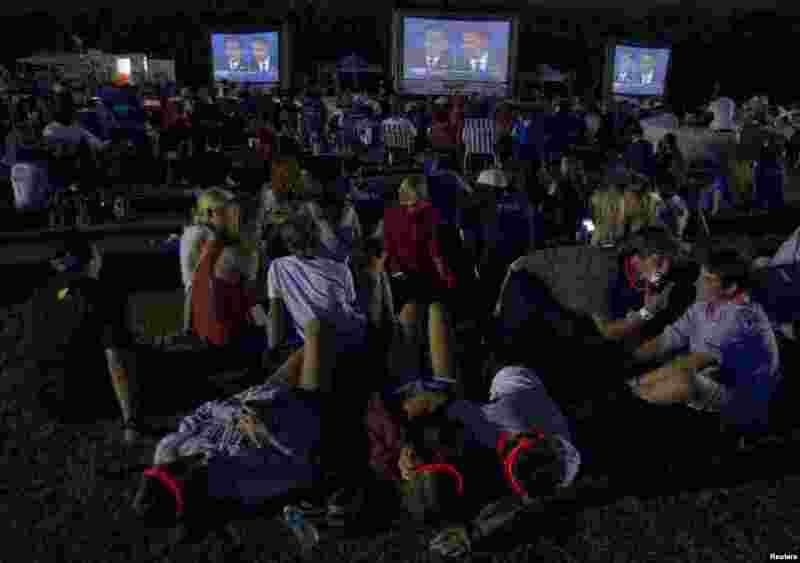 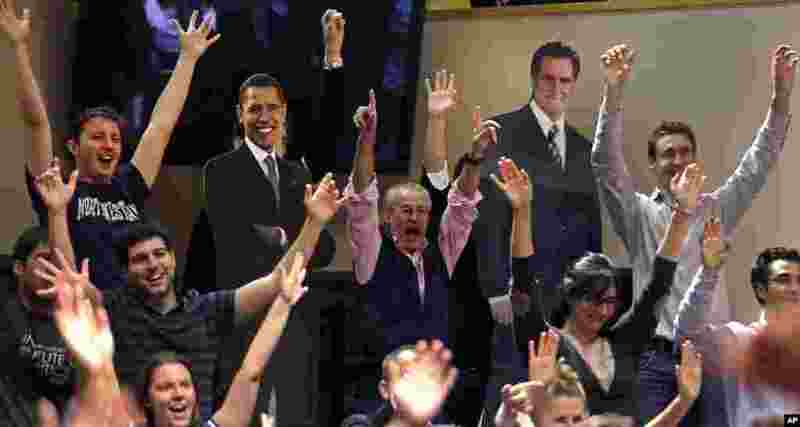 6 The crowd watch Republican presidential nominee Mitt Romney and U.S. President Barack Obama meet in the final U.S. presidential debate in Boca Raton, Florida, October 22, 2012. 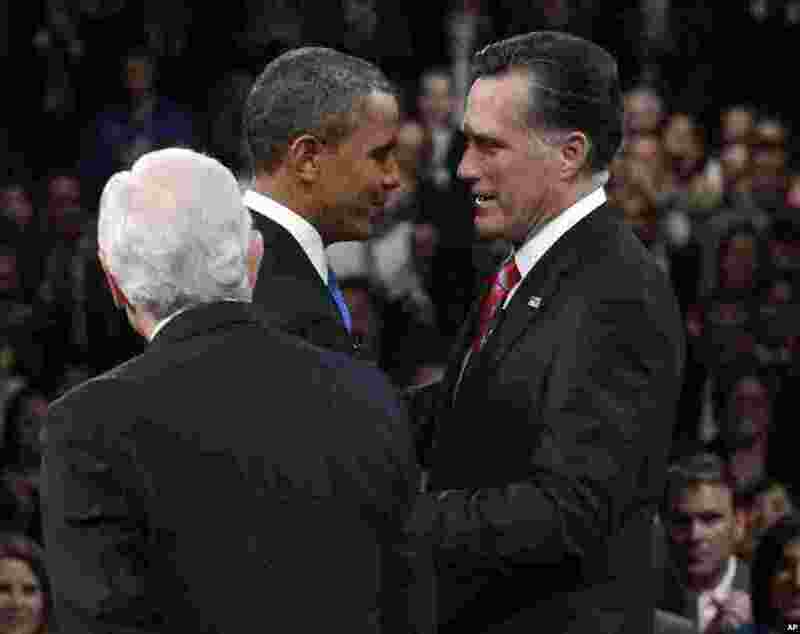 8 President Barack Obama and Republican presidential nominee Mitt Romney greet one another as moderator Bob Schieffer watches at the start of the third presidential debate at Lynn University, October 22, 2012.